Elliot Spitzer and Anthony Weiner have something in common: no, not that. Both men, back on the campaign trail, have been working forced expressions, almost approaching rigor moris in their set-ness. 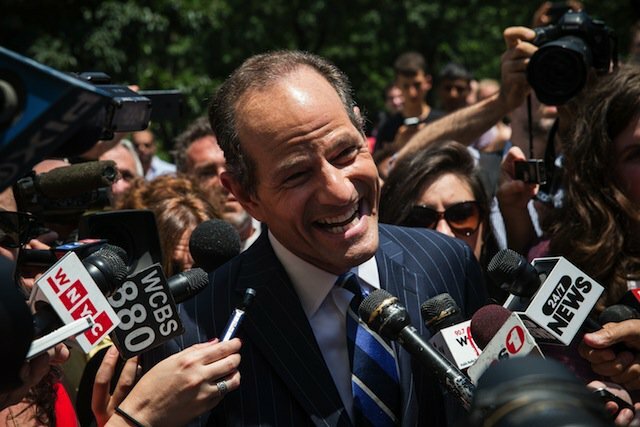 Spitzer, hoping to be loved again, had a death mask grin on his face during his first official comptroller campaign stop. Weiner, needing to be taken seriously, bears a more grave countenance. Yorick's got nothing on these guys, back from the political dead. Thanks to Nate Hopper for Twitter-abetted assistance.